The dominant, auxiliary, tertiary, and inferior (#1-4) function-attitudes (FAs) in the natural preference hierarchy of any type are “ego-syntonic.” That is, they are congruent with one’s sense of “who I am,” and therefore with each other. They may contradict and battle with each other at times, and they’re not likely to all be fully conscious and integrated into the ego; but they are still in a sense on the same team—or at least potentially so. They fit together like pieces of a puzzle, complementing each other in many ways. And although there is a level of dynamic tension between them, it is not a tension that threatens to negate our sense of ego-selfhood—that calls into question the very legitimacy of who I am. The fifth through eighth function-attitudes, on the other hand, are “ego-dystonic” in that the opposite-attitude nature of the four ego-dystonic FAs puts them in direct conflict with the ego-syntonic function-attitudes—and therefore, with the ego itself. Because of their incompatibility with the orientation of the ego, the ego-dystonic function-attitudes can rarely, if ever, be truly integrated with the conscious side of the personality, no matter how well “developed” they may become. “Differentiation means the development of differences, the separation of parts from a whole” (Jung, 1921/1971, para. 705). It involves, then, the disentangling and discernment of each of these different parts from the primordial soup of unconsciousness. Typologically, differentiating an unconscious function-attitude must in particular require distinguishing it from its opposite-attitude sibling (Ne from Ni, Fi from Fe, etc.). Development of an ego-syntonic FA must then also involve some fairly extensive differentiation of its opposite-attitude, ego-dystonic counterpart as well. How, for example, could we truly develop extraverted sensation without also delineating introverted sensation as that which Se is not? Archetypal energies carry the function-attitudes to the extent that they are unconscious. In practical terms, this means that unconscious FAs tend to be limited by their archetypal roles, whereas relatively conscious FAs can be intentionally used in a greater variety of situations and ways. Taken all together, these observations add up to the following scenario: In terms of psychological type, our ego consists of our developed ego-syntonic function-attitudes. These FAs can be consciously engaged, and contribute to our sense of identity—our “ego.” Some ego-syntonic function-attitudes could be wholly unconscious, and therefore not integrated into ego. But they have that potential. They are all mutually compatible and complementary and thus capable of working together to further the interests of the ego. For simplicity’s sake, let’s imagine an INTJ individual for whom only his dominant introverted intuition and auxiliary extraverted thinking are well developed. The theory outlined above holds that his extraverted intuition and introverted thinking (5th and 6th FAs) must also be fairly well differentiated too, but that use of these function-attitudes might come with lots of archetypal energy and baggage. It also says that because of their opposite-attitude orientation, they could never be integrated into the ego team; they must remain in its “shadow.” As an INTJ myself, this gibes with my experience. I can engage these two shadow FAs; but I can’t really say that I do so by consciously choosing to, nor that I do so as effectively as I use Ni and Te, nor without accompanying “shadowy” energies. Jung, by contrast, did seem to use both Te and Ti quite effectively. But I do feel that we can see one of them used in an adept and integrated way and the other, a little more clumsily and with some shadowy energy. It seems to me that development of an ego-syntonic FA is very different from development of an ego-dystonic one. But is differentiation of an ego-syntonic function-attitude somehow different from differentiation of an ego-dystonic FA? Or maybe differentiation works the same for all function-attitudes and it’s just in the subsequent integration process that the distinction between ego-syntonic and ego-dystonic comes into play. In any case, it seems to me that we need a more refined understanding of what typological differentiation, integration, and development are, and how they work—certainly a more elegant understanding than I currently have, or have yet heard. It may even call for new language that distinguishes between the ego-syntonic and ego-dystonic versions of these mechanisms of individuation. I am very curious to hear PTD readers’ thoughts on this. Hunziker, M. (forthcoming, 2016). Depth typology. Manuscript in preparation. Jung, C. G. (1921/1971). Psychological types. (H. G. Baynes & R. F. C. Hull, Trans.) Princeton, NJ: Princeton University Press. 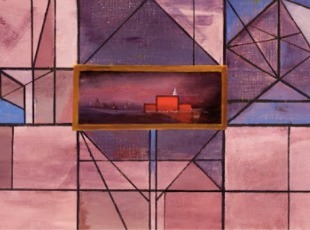 Elsie Driggs, “Javits Center Abstracted,” (1986). Courtesy: James A. Michener Art Museum. I think it helps to go back to the roots of what a FA vs a Function is — a function-attitude is a type of consciousness where the aims of a function become colored by a certain attitudinal bias towards the inner vs the outer. I tend to think of a function as not inherently a psychological attitude, more just an informational process, which certain psychological attitudes may lead to the prioritization of. Thus, from the standpoint of informational coherency, it becomes necessary for someone to develop all relevant aspects of the main function, not just pinning some aspects of it as irrelevant because supposedly they don’t relate to the preferred direction. Hillman also says something like this, e.g. that a true feeling dominant type knows to handle the introverted and extraverted aspects well, without compromising either, even if the side that is relevant to their ego may be overwhelmingly one side — still, for properness of informational coherency, it’s necessary to handle all aspects. I think this is very relevant to the idea that a differentiation of extraverted sensation would entail some differentiation of introverted sensation. Note that when we look at the differentiation of say, introverted thinking from extraverted feeling, actually the classical Jungian point of view suggests the latter colors the unconscious when the former is the main conscious FA, so in this case, there’s no work by the ego to differentiate extraverted feeling — if anything its work is to integrate it, following differentiating introverted thinking (it’s the unconscious, not the ego, that develops the extraverted feeling characteristic — again in pre-Beebe Jungian stuff at least). Whereas, to the extent we’re talking something like an ego function, the ego has a “job” to strictly differentiate the two out since it’s actually interacting with the function as a whole (like I said before, to some extent to deal with sensation, you just need to deal with sensation — you can’t fragment and segment it out, even if you attitudinally can pick which side corresponds more to your aims, vs the part that just needs to happen for informational coherency). So this addresses, more or less, the 2 main function-attitudes, the 2 inferior-ish ones, and the 2 opposing the main ones. As for the ones labeled 7 and 8 in the Beebe model, I think this is the confusing ground, because really they’re not even the opposing FA to the strict 2 ego FA, they’re the opposing to the unconscious 2 FA. I personally have an experimental take on the meaning of this, i.e. that the point is the unconscious naturally seeks expression, and that is in the form of these 2 (Beebe calls the inferior and the puer archetype), and the 2 opposing these unconscious FA are basically potentially impeding the natural expression of unconscious libido that’s supposed to be compensating the 2 main egoic FA. Once again, from the standpoint of informational coherency, one shouldn’t ignore them, but must allow for the expression of the unconscious FA. I don’t think of the unconscious 2 FA (Beebe’s inferior/puer) as quite things *we* differentiate, but which we discover were a product of differentiating the main 2 ego FA — a natural compensatory product of the unconscious’ workings. When we integrate the unconscious with the conscious, that’s when it’s important to “differentiate” those 2 from say, Beebe’s FA 7 and 8 — but really to just recognize that’s the character of our unconscious Self. As for “differentiating” vs “developing” you could say that I view the relation between FA 1/2 and 5/6 as being that for information coherency, the underlying *two* functions need to be holistically *developed*, and for giving sufficient direction to the ego functioning, an attitudinal preference for those two functions must be established. I don’t view FA 3-4 as quite being “differentiated” by the ego, so much as being “differentiated” by the unconscious, in reaction to the ego’s selection of 2 main function-attitudes. One then should *develop* FA 3-4 so as to be able to integrate them for the purpose of integrating conscious/unconscious… but this requires recognizing the unconscious personality properly, and realizing it has a differentiated flavor (complementary to that of the ego). My jumbled thoughts, for what it’s worth, hopefully with a few coherent fragments. A note or two, just for clarity: I realize in the article, the “ego functions” are more or less 1-4, vs when I say ego, I mean FA 1-2 (although it could be 1 or 1-2 or 1-3 if we take all of Jung’s remarks ever on the matter — but frequently it more or less referred to 1-2). And second, when I say the “unconscious FA,” I mean this in pre-Beebe classical Jungian sense, i.e. the FA 3-4 of Beebe, the things unconsciously complementing/compensating the ego FA. I realize Beebe’s “shadow functions” are also a type of “unconscious FA” so this might make my meaning confusing if I don’t make this note. 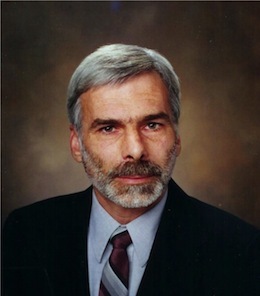 * Thus, as sensation is conscious as a whole, when the person identifies with its introverted aspects as corresponding to their aims, for example, and the extraverted ones as merely being part of having a coherent sensation-oriented informational worldview, their ego is performing the appropriate differentiation of both parts — since it recognizes that to deploy sensation as the main function, it’s necessary to not discard any relevant aspects of the overall principle of sensation in informational processing, yet one is aware some aspects of it do not correspond to the significance behind why/with what attitude one is deploying the process. * This sort of remark applies in general to the relation between FA 1/2 and 5/6… but not as directly so to the FA 3-4 and 7-8, assuming (as is often the case) that FA 3-4 are more unconscious than conscious — I only think we can say *we* (or at least our willful sense of self, not our unconscious sense of self) are differentiating FA 3/4 so much as we integrate it, following the unconscious’ differentiation of them, as a way of offering compensatory energy to the ego’s workings specifically. Some repetition here but I hope it helps the point not get lost. I love this article for its concise language, cutting straight to the point, and the openess to listen to others opinion on the matter 🙂 Thank you for this. I guess one way of succinctly putting what I think is going on is that Beebe-model followers tend to emphasize the differentiation of the ego-syntonic from the shadow functions, albeit it’s about the same idea as classical Jungian typology emphasizing the differentiation of say, thinking from feeling or sensation from intuition. In other words, having a differentiated form of judgment requires a separating the two out. But, as I hopefully emphasized, I think while it’s true one needs to differentiate both the ego function and the opposite, so to speak (what “opposite” means depends on which model you emphasize), I think if anything it’s the unconscious that “differentiates” the opposite. It’s perfectly possible to have a highly differentiated thinking function (e.g what von Franz/Jung would likely say of Pauli) without much *conscious* differentiation of feeling. If I’m understanding correctly, it seems to me that although “ptypes” and I are using the terminologies of different frameworks (models), our views on this differentiation/development issue have more in common than not. The paraphrase of Hillman—“a true feeling dominant type knows to handle the introverted and extraverted aspects well, without compromising either, even if the side that is relevant to their ego may be overwhelmingly one side”—for example, would seem congruent with my understanding that in order to develop a function-attitude such as extraverted feeling into conscious ego-integrated use, introverted feeling must be somehow “developed” as well. It seems, however, that we may disagree about the necessity for such differentiation to include differentiation between the function in opposite attitudes (e.g., Fe from Fi). My experience and understanding is that Fe cannot be consciously and effectively engaged unless differentiated from Fi. The effect of trying to do so would be analogous to trying to look both North and South at the same time by spinning around really fast. We’d pick up some information about what’s North of us and see some things to the South. We might even believe that we are seeing clearly in both directions. But in reality, we wouldn’t get as clear and detailed a view in either direction as we would if we focused on one orientation or the other. Fe and Fi (and all opposing attitudes of the same function) are, in operation, simply too different to be engaged effectively in a dual-focus mode. I do suspect that “ptypes” may be on the trail of an important point in making a distinction between the “informational coherency” and the “compensatory energy” aspect of a function or function-attitude. But this seems more like just a different way to frame my original question. If, as ptypes suggests, there’s such a thing as “unconscious’ differentiation” (which, at least at first glance, seems a contradiction of terms), how would that work? How is it different, in terms of the “mechanisms” of differentiation and development that we do understand, from development into consciousness? I do realize that since differentiation involves the mysterious phenomena of unconsciousness and libido, a full, logical, intellectual understanding is impossible. I’m simply looking for clues—intuitive guesses even—that may help us further our understanding. If anything I wrote suggests I believe differentiation of the functions in their 2 respective opposite attitudes is unnecessary/irrelevant I should say that’s not my view! Rather, I instead lean that a lot of fruitful insights come of considering the functions without their attitudes always attached to them. That is, e.g., while the model where Te=Hero, Ti=opposing emphasizes the differences between the two T types, examining what it means to be a thinking dominant overall emphasizes the common things true of being a T-dominant — T involves a certain type of information, and all T-dominants must adhere to the principles of working within that type of information, even if their attitudes towards the manner in which to engage it may differ. Regarding “unconscious differentiation” — the terminology mostly is unimportant there, but my point is to shift the perspective a little, assuming I am understanding correctly what the article’s idea is regarding differentiation of 2 parts requiring differentiating both parts, not just one. I was emphasizing whose role is what here — the ego’s role, as far as I understand, isn’t to differentiate the opposite of a function-attitude, but rather to deploy that function-attitude (say Ni) faithfully. If in the psyche, the crystallization of Se as distinct from Ni occurs in reaction to this, it’s the unconscious adopting an Se-character (which it wouldn’t have especially done before the complement to that were differentiated by the ego). Unconscious differentiation just referred to a spin on Jung’s idea of compensation, namely the fact that the unconscious adopts a definite character in compensation to the ego — while previously, it was presumably more muddled a collection of function-attitude potentialities. To put it this way, while one may be used to not associating unconscious+differentiation, which is why Mark Hunziker might wonder if that is a contradiction of terms, differentiation first is the separation of parts — it is often *associated* to the consciousness, because initially all the opposites are pooled/muddled together in the unconscious until a well-formulated sense of purpose/will causes the ego to separate out a part to travel in (like choosing a direction, North > South). However, once this happens, one has to remember the unconscious is no longer just a muddle of undifferentiated stuff. It adopts the character of the complementary function-attitude to the ego! “Ptypes:” Thanks for the clarification. —And I hope you realize that I’m not trying to debate points, but simply to work ‘out loud’ towards a better understanding (my Te style). In that spirit, it seems to me that we’re zeroing-in on an important distinction between two separate processes. The first is primarily an energic phenomenon which achieves what you’re calling “unconscious differentiation.” If such differentiation is all that happens, we’d expect to see exactly what we do see: When such an unconscious function-attitude is triggered into action, it would be clumsy and crude as a function-attitude ‘tool’ and heavily laden with compensatory archetypal energy. (A reasonable analogy might be to picture a situation in which we have a need to drive a nail. We have a ‘hammer’ of sorts, but it’s actually just a suitable rock. In our use of it, the energic component of striking would be strong; but the actual nail-driving would be only marginally effective and probably include a lot of collateral damage.) To the extent that we (from our ego perspective) can become aware of the newly-developed FA’s capacity, it then becomes more ‘conscious’ and begins to be integrated into the ego (we refine it into a better hammer and add it to our ‘toolkit’). The absence or presence of this second process, then, may be what separates FAs that become conscious from those that don’t. And it would follow that it is the internal dynamics of our typology influencing this second, “awareness” process, not the differentiation itself, which tend to push us toward “normal” type development and away from developing, for example, our ego-dystonic FAs. Sound about right? The part that I’ve been particularly hung up on is envisioning how this second process works. I feel that I can grasp how differentiation works; and I can see how mature, self-reflective conscious awareness works. I have, for example experienced a conscious “noticing” of Se (my inferior) working in closer collaboration with my Ni /Te –oriented ego than it previously had. But ego-integration of FAs can obviously occur without such conscious, cognitive reflection being involved. My partial integration of the Se perspective, for example, obviously happened prior to and independent of my conscious awareness of it. And perhaps the only thing that noticing it accomplished was to help fix the fait accomplis in place—to ‘validate’ it as an ego-partner. Likewise, when I was a young child, my Ni dominant and Te auxiliary became the anchors of my ego without me having any clue about what was going on. So although it’s helpful to me to think in terms of two separate processes, I still wish I had a clearer understanding of the second one —of how we unconsciously become conscious. Perhaps I’m over-thinking it. Maybe it’s just a pretty straightforward matter of experiential reinforcement: 1) Life presents opportunities for the unconscious FA to be engaged; 2) if the FA has been somewhat (unconsciously) differentiated, this increases the chances of that FA being used effectively; 3) success encourages more frequent use of the FA; 4) increased usage in a broadening variety of circumstances and ways fosters further development of the FA; and as this progresses 4) it gradually becomes accepted into the ego team. —And 5) being consciously aware that this is happening or has happened probably helps to facilitate this process, but is not absolutely required for such individuation to move forward. What do you-all think? @Mark Hunziker – I like the process 1/process 2 distinction; perhaps the way to put what I am saying is I like to think of what you call process 2 as becoming Conscious, and process 1 as really differentiation proper. Why? Because in some sense, the most direct meaning of differentiation is separation of the parts from the initial primitive muddle, and I tend to think that already happens in the psyche once you differentiate FA 1-2, even if all those separate parts don’t occupy the conscious psyche. I guess I view it as if the theoretical backbone of the Jungian or Beebe model now forms, and its unconscious parts (e.g. the shadow + weaker ego-syntonic FA) are now waiting to be explored, but still have somehow been separated apart in the psyche. For example, they get associated distinct archetypal energies — that already is a type of differentiation in reaction to the ego’s selection of its preferred 2. It’s just not *consciousness* of those FA. Now, as to becoming conscious of these various parts, I tend to view that process as somewhat different for the 3 groupings: ego-syntonic+weak, ego-dystonic 5-6, and ego-dystonic 7-8. For the first, I see the primary thing as needing to live those FA at the foreground of consciousness — allow them where they usually don’t get to be. Von Franz even wrote of essentially becoming like those respective dominant types, almost as if your type has changed, even though the original type is always in the background to the careful eye. For the ego-dystonics, I tend to as I said view the primary motive for getting to know them as informational coherency — to say one can make value judgments, but to be woefully unaware of how to address the outer ones, and only address the inner ones, eventually can come to bite one, in that one may make value judgments contradicting the inner claims if not careful about weighing the outer factors. This doesn’t erase the preference for introverted feeling if there were one, just says that you can’t erase the overall coherency of an information type and just avoid parts of it. Now this comes into play with 5-6 when we’re initially with our main 2 ego functions, but I suspect very similarly with 7-8 when we live with the 3-4 at the foreground of consciousness. I suspect in fact that the “informational coherency” demands of addressing 7-8 when we’re trying to live our 2 inferior functions could be viewed as what threaten us to give up the entire process of integration and live with only the FA 1-2 at the foreground of consciousness. Part of the deal with realizing our 3-4 and really differentiating them is in my own humble take that we see they already were a part of us, that it wasn’t just primitive outbursts that corresponded to them, but that the unconscious naturally relegated compensatory libido to these, and realize the role this played when we purported to just rely on FA 1-2. After all, as Jung often said, about half the things you see of a person may correspond to the unconscious. I think simply becoming conscious of this unconscious libido is a huge step to making 3-4 conscious as distinct parts, without threatening the ego — for in realizing how they were always compensatory and natural, this happens. Hello. This is a very interesting topic that’s got me thinking since I read this last night. So I’ll take a crack at it. First, these FAs are about *preferences*. That is, with any pair of FAs, one *prefers* one FA over the other, (or conversely, one of the two is preferred less than the other, by definition). As an INTP, I prefer introversion over extraversion…or more specifically, I prefer introverted judging over introverted perceiving…or even more specifically, introverted thinking (Ti) over introverted feeling (Fi). So this suggests to me that since Ti is my most preferred FA (#1), then Fi would be my least preferred FA, relegating it to the very depths of my unconscious (#8). Indeed, if Ti is my most preferred FA, then Fi will only interfere with that introverted judging process. Ti requires one to *detach oneself* from feelings. The more differentiated they are, the better Ti will function. Or to put a spin on an old saying, “Don’t let your [introverted] feelings cloud your (Ti) judgement”. 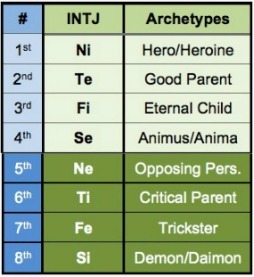 Since one type of introverted judging (Ti) is my most preferred FA, while the other type of introverted judging (Fi) is my least preferred FA, this would necessarily mean that extraverted judging is less preferred than Ti, but more preferred than Fi, thus putting extraverted judging in between the two (#s 4 and 5). Since I prefer to introvert my thinking on the conscious side of my psyche, then Te gets relegated to #5. Since Fi is in the unconscious, then Fe gets relegated to #4. Since I prefer to utilize my introverted attitude primarily for judging, that leaves my extraverted attitude primarily for perceiving — Ne at #2. And like the same process above, since Ne is my most preferred extraverted perceiving FA, that necessarily means Se is my least preferred extraverted perceiving FA, relegating that FA to #7. And since N is extraverted on my conscious side, then Ni is relegated to the unconscious side at #6, leaving S to find conscious expression as Si at #3.